I’m going a little crazy locked up in the house with a teenage boy. The snow is as deep as it was the day it fell, and I just found out that Monday is a school holiday, so I have six full days with just me and the boy. Yesterday we walked to the supermarket and took a Lyft home which killed some time. My son is a super active kid and sitting around all day doesn’t suit him at all. We might try to grab a ride to our gym just to get out of the house and kill some time. We’ve been eating a lot of leftovers and sometimes you just need a little something extra to elevate them. I love making homemade refrigerator pickles. I’ve pickled mushrooms, cherries, peaches, blueberries, and onions. It’s pretty safe to say that there isn’t much that I wouldn’t consider pickling given the opportunity. 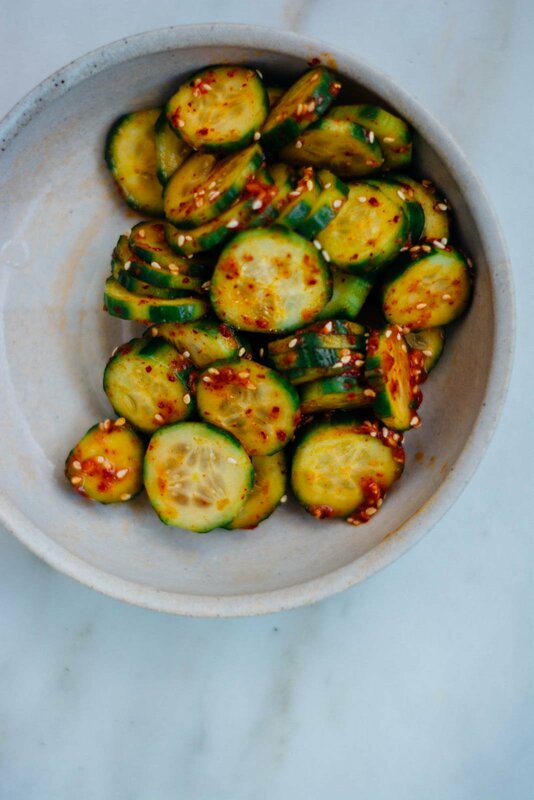 They take almost no work and will keep for weeks and add a nice sweet and sour bite to salads, desserts, and bowls. 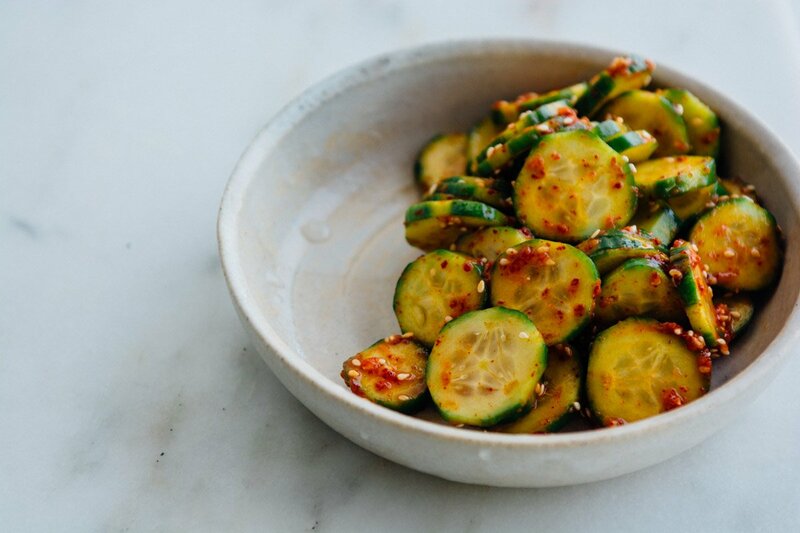 When I was a kid, my mom made kimchi and garlic pickles all the time. I was always appalled at the smell but was eager to eat them. 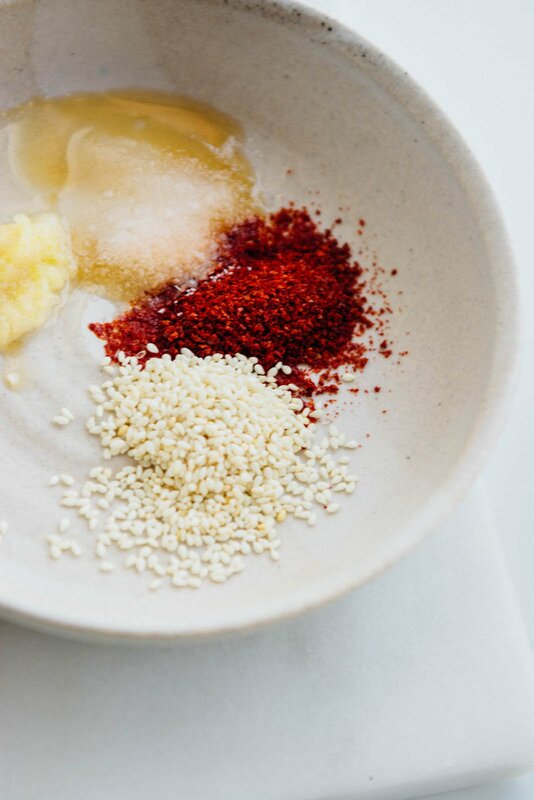 You don’t need to make a brine here, just combine a few items you probably have in your pantry and some gochugaru, Korean chili flakes commonly used in the making of kimchi. 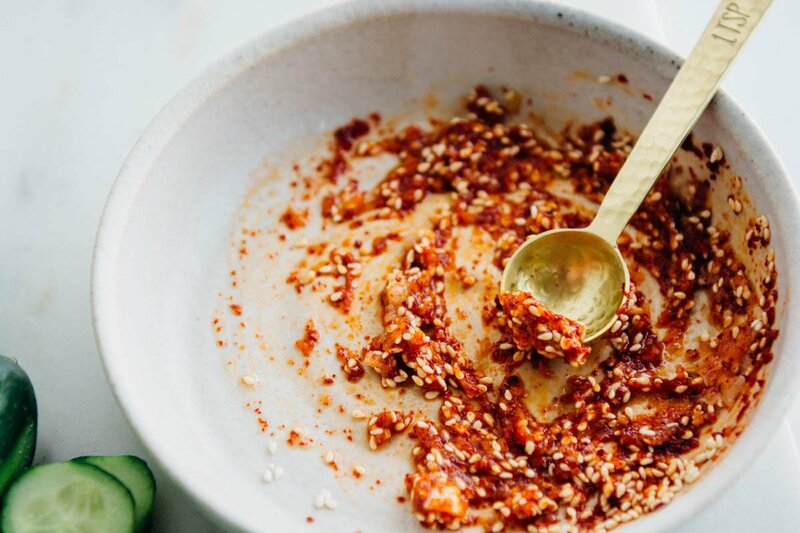 You could also use gochujang, a chili paste instead, just a teaspoon or so. 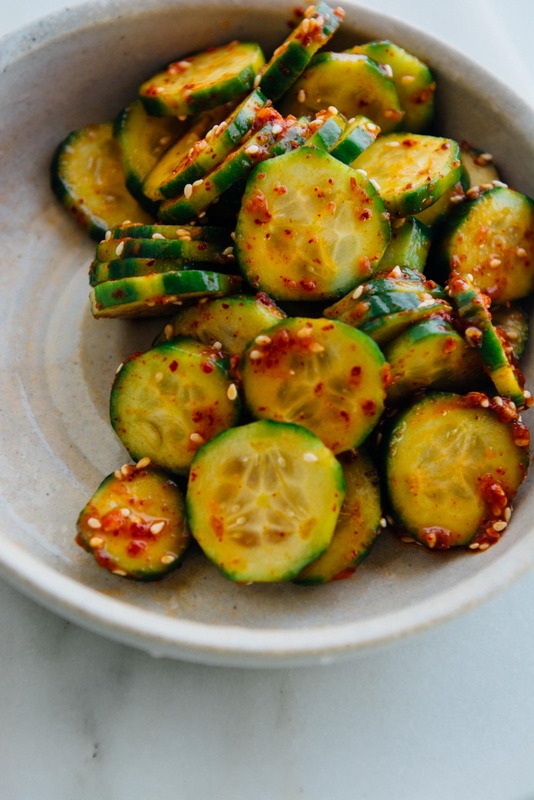 I like to enjoy these pickles on a rice and veggie bowl or layered into a sandwich for an extra spicy bite. They are great on their own as a snack as well. We’ve been eating a lot of leftovers and sometimes you just need a little something extra to elevate them. I love making homemade refrigerator pickles. They take almost no work and will keep for weeks. 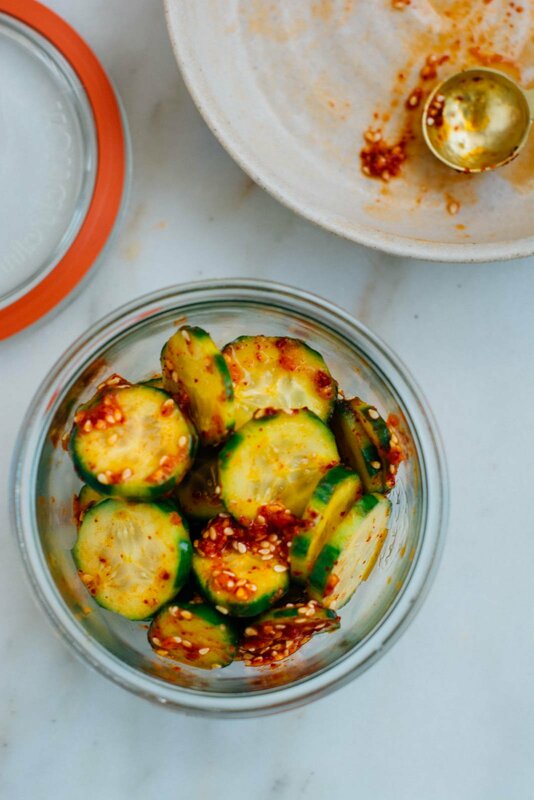 When I was a kid, my mom made kimchi and garlic pickles all the time. I was always appalled at the smell but was eager to eat them. 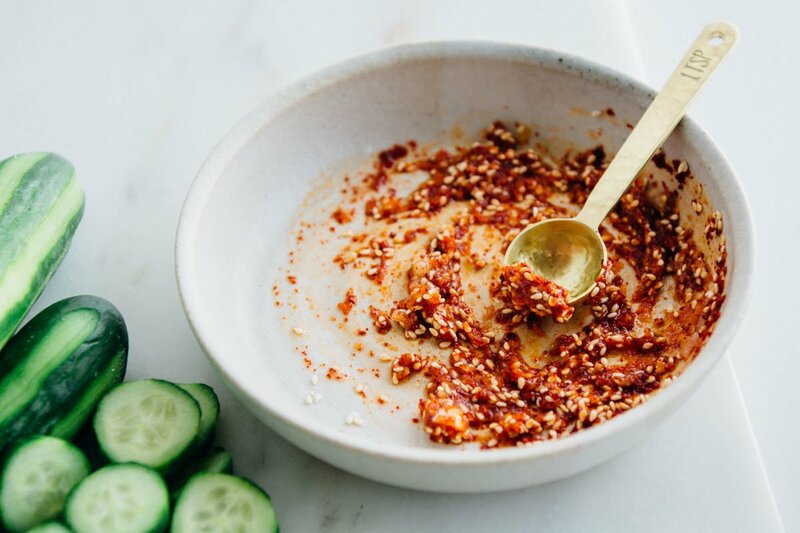 You don’t need to make a brine here, just combine a few items you probably have in your pantry and some gochugaru, Korean chili flakes commonly used in the making of kimchi. 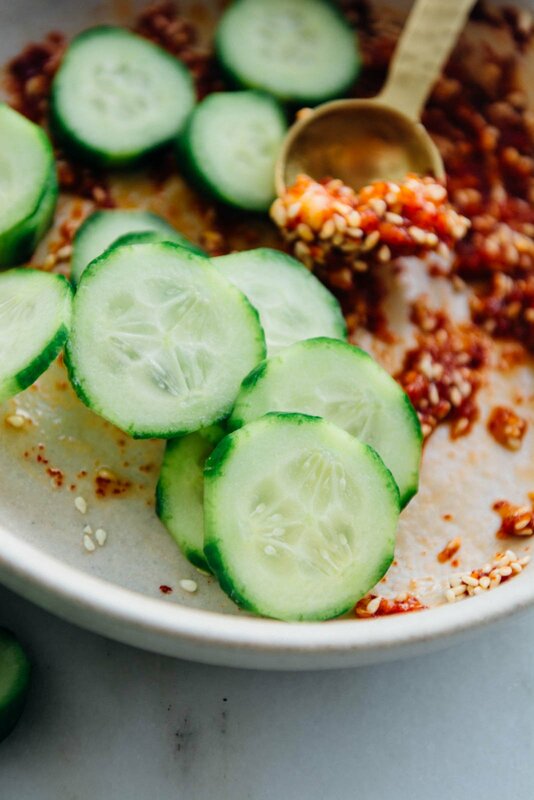 You could also use gochujang, a chili paste instead, just a teaspoon or so. NOTE: This post on Scaling Back contains affiliate links, that means if you click on the link and purchase an item, I will receive a small commission, but the price you pay for whatever you purchase remains the same. 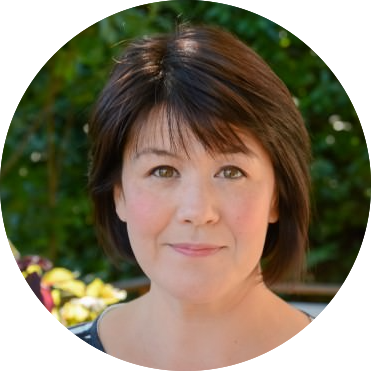 When you shop through those links you help support the blog, this helps to cover some of the costs for this site and I only recommend products I believe in and that would add value to my readers. 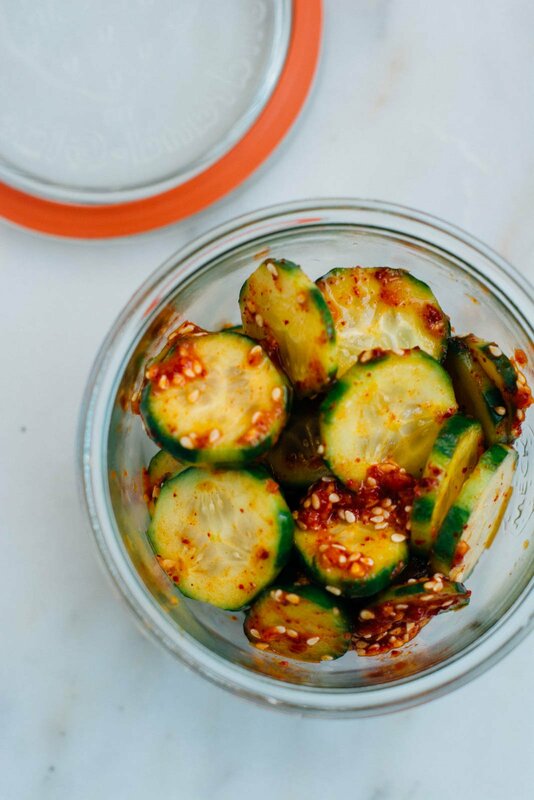 This quick and spicy Korean inspired pickles only take minutes to prepare and keep weeks in the refrigerator! 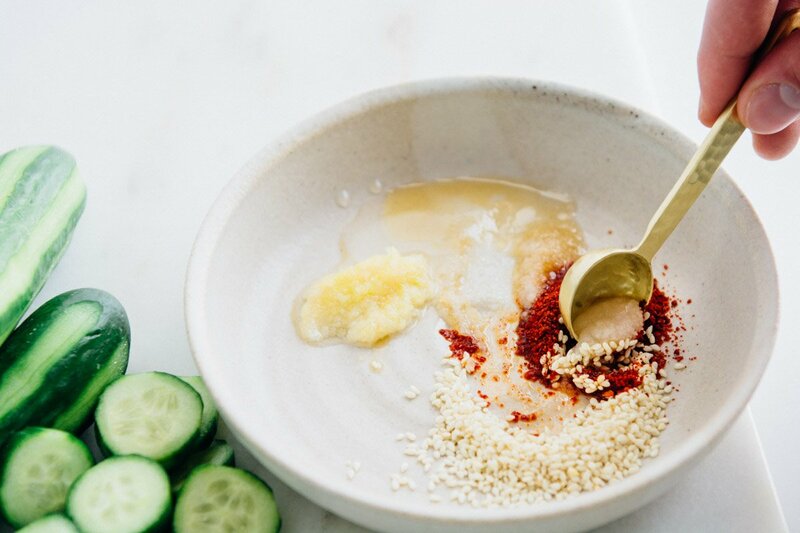 Combine all the ingredients in a small bowl and stir well to combine. 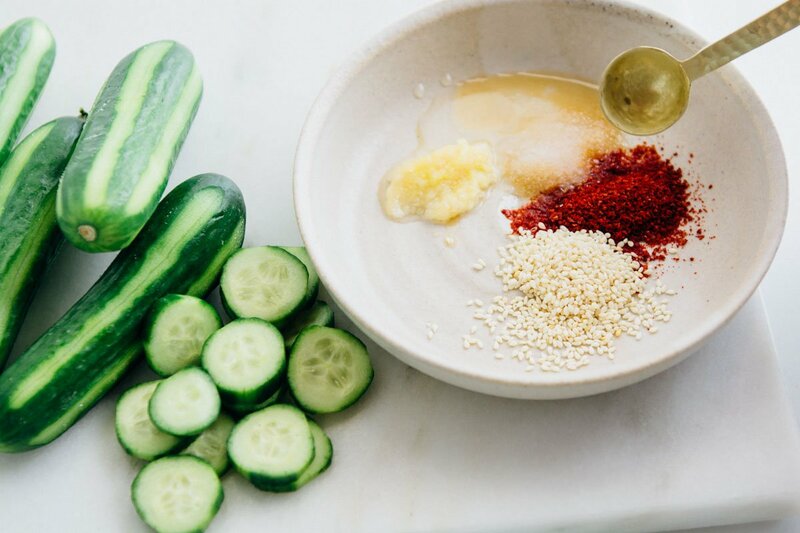 Add the cucumbers and toss well to coat or put on some gloves and use your hands to work the mixture into the cucumbers. Store in the refrigerator until ready to use. The pickles will keep in the refrigerator for 3-4 weeks but will become stronger the longer they sit.